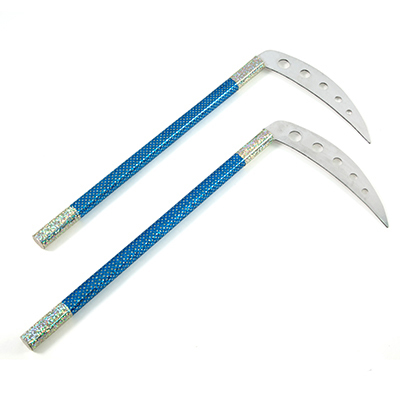 ProForce Champion Kama, Blue Jewel with Sequins. Made of lightweight hardwood. 14" handle with 7" aluminum blade. Blade is vented aluminum and not sharp. Holographic covering provide extra shine for tournament use. Sold as a pair.